I found a page on crochet African flowers, and the choice of colours really caught my eye, so I had a go at making one! I couldn't find a pattern there. On that page there are two videos, one is not in English the other video is for a different flower. 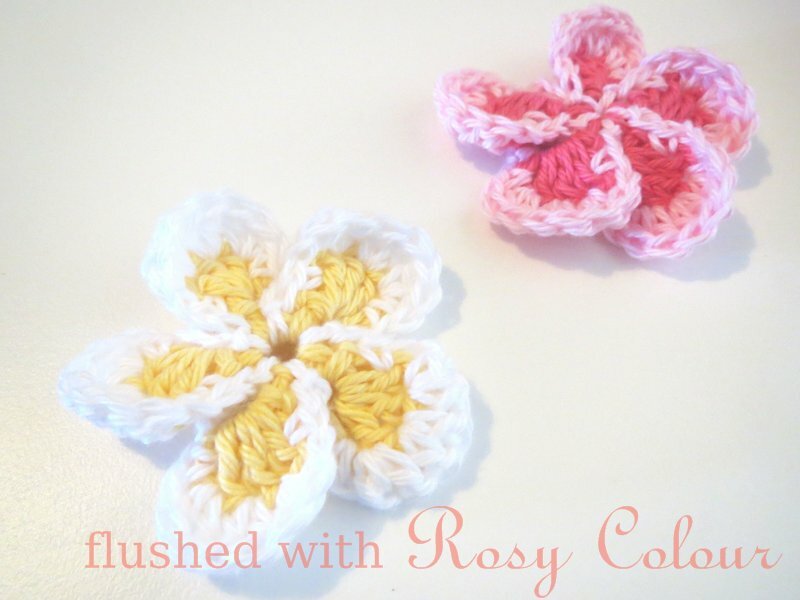 So I guessed the pattern by looking at the picture that has flowers made in different stages. I used my 4 ply cotton and my new 2mm hook. I don't have pink or purple in 4 ply so made it using yellow, orange, red and white. Here is a link to the photo on pinterest, I think it explains the pattern easily enough.